Nikon AF-S DX NIKKOR 18-300mm f/3.5-5.6G ED VR review: Too good to be true? 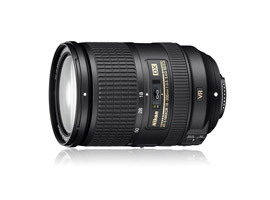 The Nikkor lens delivers a wider zoom range and has wider apertures than others in this sort of range, but it is also more expensive compared to independents like Tamron’s 18-270mm F/3.5-6.3 Di II VC PZD, which has the closest comparable focal length range, and Sigma’s 18-200mm F3.5-6.3 II DC OS HSM. It is clear that this is a lens intended for photographers who want to have a single lens to cover all eventualities, the zoom range is vast, the dimensions are quite compact and for most people the combination looks perfect for a single, multi-purpose lens. This does mean, however, that the lens must be able to deliver in all eventualities to a quality that will be acceptable for use. The lens also incorporates various features common to Nikon’s range for instance an SWM motor for autofocus, Manual Focus and Autofocus with manual override etc. Looking at the scores in more detail and especially if you make a comparison with almost any prime lens, they seem to show that when you make a lens with a zoom-range more than 10x there are sacrifices you have to make. The control of distortion is very similar across the three lenses and compares to other zoom lenses: At the wide end there is a noticeable amount of barrel distortion which disappears by the time you get to a focal length of about 28mm then pin-cushion distortion takes over from 35mm upwards and it too is noticeable. This will, for some people be a problem: any straight line near the frame edge will be distorted except when using the lens at about 24mm. The story is the same for Vignetting: the charts almost match. The Nikon fares worst wide open and at 18mm but overall is a little better than the other two, but the differences are not enough to justify buying one over the other. For a lens that is significantly more expensive than the other two in this comparison this is a very poor result. The last three items, Distortion, Vignetting and Chromatic aberration can all be rectified using DxO Optics Pro but for most users this is not something that they would want to have to do having bought a Nikon lens. The performance of the Nikkor is quite disappointing. There is another lens from Sigma, their 18-250mm F3.5-6.3 DC MACRO OS HSM Nikon. This scores better than the Nikkor for resolution, chromatic aberration and indeed in the overall scores. On the converse it scores much worse for vignetting and a bit for distortion. However, if the choice were between the Nikkor and this Sigma the faults with the Sigma images would be much easier to rectify than those from the Nikkor, the resolution is higher and the Sigma is much cheaper. There is something very appealing about having a single lens that will cover all your needs, no need to change lenses: risking dust on the sensor. No need to carry a bag full of alternative focal lengths and the ease of just turning the zoom ring to get you from wide to tele. However, all these benefits come at a cost, each feature requiring a compromise on something else. That seems to be the big decision, not only for the lens manufacturer but also for the customer: is it better to have what you really need or to compromise and have what is convenient.